Annual report from Israel Branch. 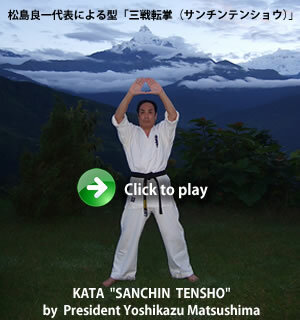 Shihan Roman Szyrajew(North America Chairman) was held the Seminar in Mexico . Volyn region championship was held traditionally in Lutsk on October 27th, 2018. Volyn region championship was held traditionally in Lutsk on October 27th, 2018. The competition gathered more than 170 sportsmen. They fought in 30 age and weight categories. 5 categories were formed of sportsmen attending karate sections in kinder-gardens. Ring karate and seminar was held in Indonesia on September 2018. The 6th Ring Karate was held by IKO Matsushima Indonesia,Indonesian Kyokushin Karate Association,on Saturday 22 September 2018. Participated by 20 fighters and attended by Hanshi John Taylor.On the next day a seminar for 4th kyu and above was conducted by Hanshi,and followed by another class for 5th kyu and under,given by Senpai Ysobel Jarjoura,Senpai Ai Ikeda and Senpai Lisa Hodder. The tournament was held in South Africa on 8th September 2018. Kyu and Dan test was held in Kolkata India on 30th September 2018. The camp was held in Australia . We had Shihan Penita come over from New Zealand. Conducted 6th Belt Gradation Kyu Test and Belt Ceremony for Karnataka, India Kyokushin Karate Students on 7th October, 2018. The I.K.O.Matsushima International Karate Organization Kyokushinkaikan Honbu Japan, Karnataka, India. It was very successful Belt Gradation Kyu Test & Belt Ceremony for Karnataka, India Kyokushin Karate Students. 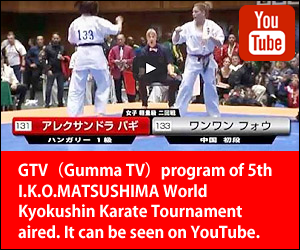 I.K.O.MATSUSHIMA Japan Honbu Matsushima Dojo studens performed a Karate demonstration at the Showa Village Festival in Numata on 7th October 2018. 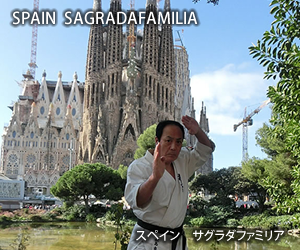 On September 14 to 16 I had my 13th year Beach Training at Old Orchard Beach Maine USA as usual we had a great time and great support from parents to drive there children the distance of 500 KM.We dud Kata also Bo,Tonfa, and Nunchug kata. Also Goshinjitsu, and gyaku te techniques also technical fighting . Weather was perfect overall a success as usual. Grading for school students was held in Tamil Nadu India. I.K.O.MATSUSHIMA DOOARS INVITATIONAL CUP 2018 was held in North-Bengal India. 1st Matsushima Cup Kyokushin Karate junior championship held in Nepal on 22nd September 2018. The XV Brazilian Karate Kyokushinkaikan Championship was held in Naviraí on 8th September 2018. XIII Summer Camp IKO Matsushima Polska was held in Murzasichle,Poland. XIII Summer Camp IKO Matsushima Polska. Sensei Robert Wyciszkiewicz was the organizer and the main instructors were shihan Sergey Lukyanchikov and shihan Roman Kucfir. The camp took place in Poland in Murzasichle. 13th Aug.2018 IKO-Matsushima Kyokushin Karate Demonstration was held at HQ Dojo,Pakistan to celebrate 71st Independence day of Pakistan .14th August 1947. The program were arranged by the membersof HQ Dojo Lahore . They sang national anthem and other song related to the nation . All senior members as guest appreciated the effort of young Karateka. Thomas Memorial Intra School Championship was held in Kolkata India On 25th August 2018. The Seminar was held in South Australia. Shihan Roman Szyrajew (North America Chairman) was invited with guest and was welcomed by many Karatekas and the referee rules were read and exercises done on 3 August. On Sunday morning Shihan Roman had training seminar. I.K.O.MATSUSHIMA Japan Honbu Matsushima Dojo studens performed a Karate demonstration at the festival“Holiday in Maebashi” in Maebashi City on August 19th 2018.This event has been directed for 44 years. Every year above 20 thousand people have been visited. Dan test was held in Tamilnadu India. IKO Matsushima Indonesia,Indonesian Kyokushin Karate Association,held a under 4TH kyu test on Sunday 12 August 2018 at one of our dojo in Gading Serpong,Banten province. Members who took part were separated in several groups,with children in one group and others in one big hall.